Jensen Transformers > What is a ground loop? Ground loop problems are caused by small voltage differences that normally exist between the ‘grounds’ at the send and receive ends of a signal cable. In an unbalanced interface (video and consumer audio), this ground voltage difference directly adds to the signal. This generally produces hum or buzz in audio and hum bars in video. 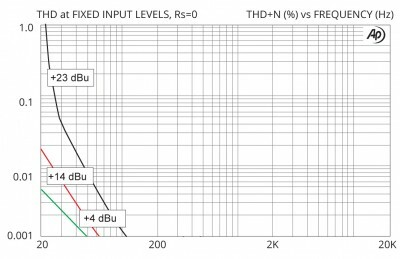 In a balanced interface (professional audio), the ground voltage difference may reveal inadequate common-mode rejection at the input stage of the equipment or other design defects. A ground isolator in the signal path is the fundamentally correct way to eliminate system ground loop problems. A transformer does this by magnetically coupling the signal across an electrically insulated barrier. For an unbalanced interface, the transformer effectively stops any current flow in the cable caused by ground voltage differences, which stops the noise. For a balanced interface, the transformer effectively prevents the common mode voltage from reaching the input stage of the equipment, which often has less than ideal performance. Transformers have advantages of being passive (no power required), reliable, and rugged. This makes them immune to most transients that can damage or destroy powered (active) electronic ground isolators. Inside each Iso-Max ground isolator is a Jensen Transformer. This is the functional heart of just about every product we produce. Jensen Transformers are legendary in their ability to deliver exceptional signal transfer without artefact, distortion or degradation. 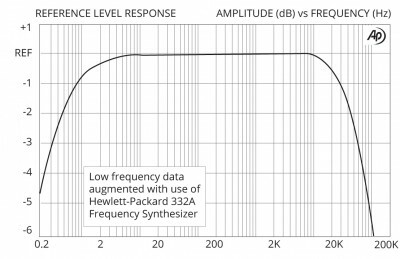 Most manufacturers think that flat response from 20 Hz to 20 kHz is enough to produce sonic transparency. At Jensen, we know that phase response is just as, or perhaps even more, important. Therefore, we design each transformer for extended bandwidth, especially at the low end, because it is essential to achieve good phase performance — and the resulting sonic neutrality. We do not stop there. Tremendous effort is placed in delivering the signal without noise. 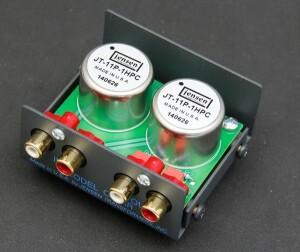 For instance all Jensen line input, mic input, mic split, and direct-box transformers employ internal Faraday shields. A Faraday shield is a grounded foil placed between transformer windings to prevent capacitive coupling. This not only vastly improves ground noise rejection but it virtually eliminates RF interference, particularly the AM radio variety. Most of these transformers are then enclosed in a MuMETAL® (perm-alloy) can to further protect the sensitive signal path from outside magnetic interference caused by dimmers, transformers and power supplies. Hundreds of thousands of Jensen’s audio transformers are at work around the world in recording studios, live performance venues, and broadcast facilities – even in the Space Shuttle. Jensen has been chosen by test equipment manufacturer Audio Precision as well as by many high-end audiophile equipment manufacturers.